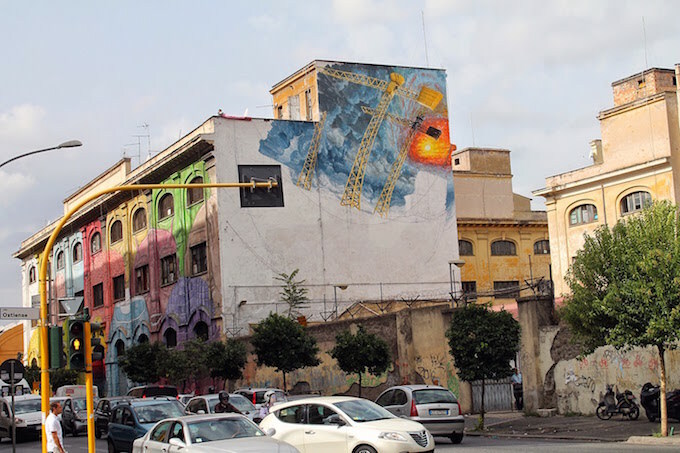 Blu has been doing his thing for a quite some time now, and we expect great work from him, but the fact that he paints these mammoth-sized walls using only rappelling ropes and no scissor lift puts them on an entirely different level of awesome. 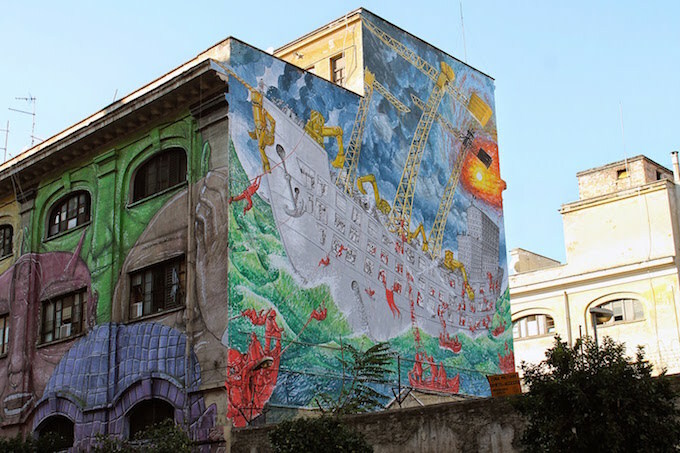 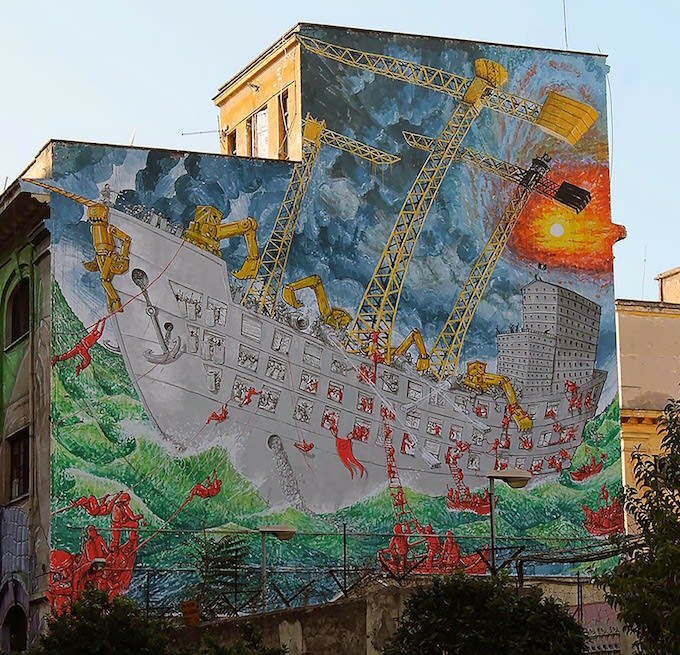 Painted in Rome, this mural depicts a large cargo ship carrying cranes and buildings, with red flag-toting soldiers storming port side. 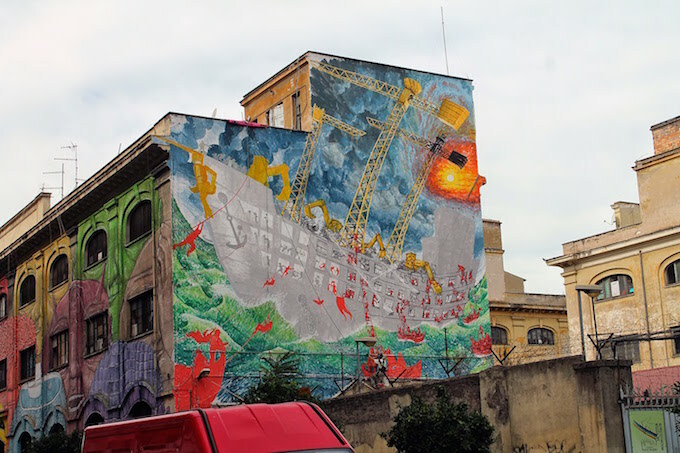 The green sea, yellow cranes, red men, and chaotic skies add so much drama to the piece that would have already been epic had it been painted in grayscale like the boat and the buildings. 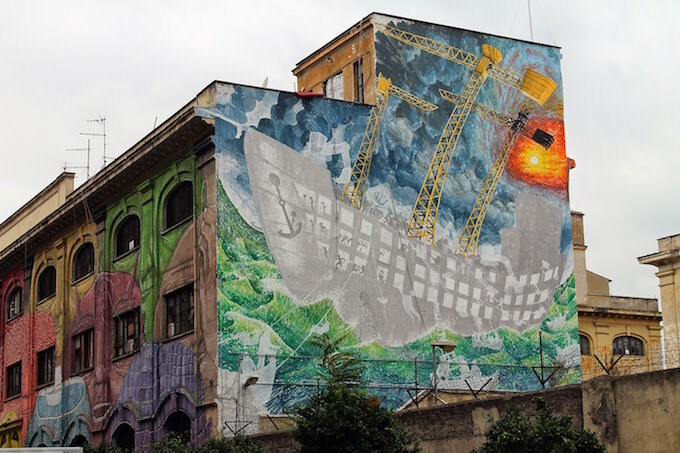 Check out the progress photos of this great piece below.